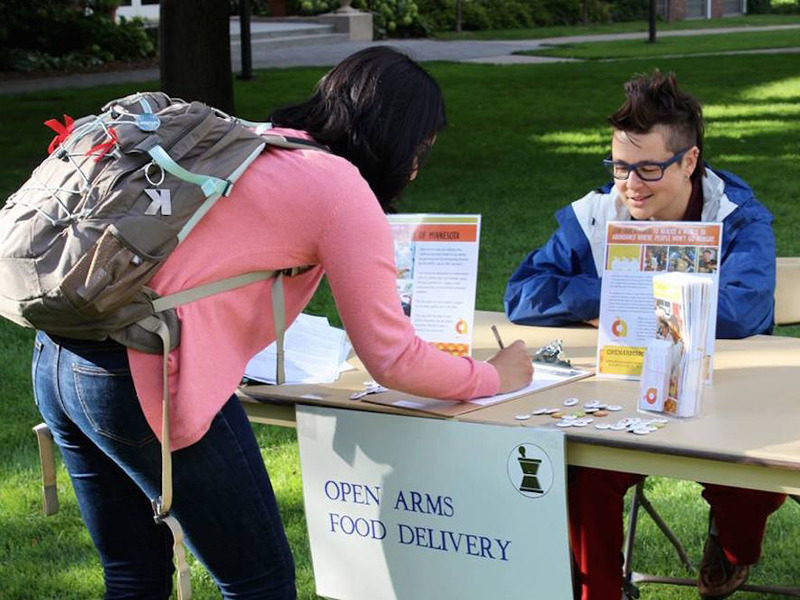 A student at Macalester College signs up for community service. When students are considering colleges they often look at offerings outside of academics, like clubs and organizations, student government, and volunteer opportunities. For many students, being involved is what college is all about — they want to make a difference in their community and the world. The Princeton Review recently published "Colleges That Pay You Back: 2016 Edition," which includes a list of the top schools in America for making an impact. Princeton Review based the ranking on student ratings and responses to survey questions covering community service opportunities at their school, student government, sustainability efforts, and on-campus student engagement. They also took into account PayScale.com’s percentage of alumni from each school that reported having high job meaning.